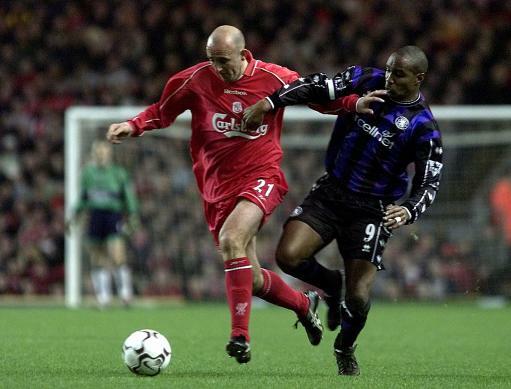 Former Liverpool, Leeds and Scotland midfielder Gary McAllister was the victim of an unprovoked and random attack at the weekend. According to The Sun, it’s claimed that the 53-year-old was with his wife waiting for a cab in Leeds city centre, having earlier spent the day at Anfield for the Liverpool legends game against AC Milan. However, his day was certainly soured in a disgraceful altercation, as it’s reported that he was punched in the face and fell to the ground while his wife tried to pull the attacker away from him. It’s added that McAllister was taken to hospital and police have now launched an investigation into the matter as they look to try and find the culprit. Currently working as an assistant at Rangers, McAllister enjoyed an illustrious playing career with spells at Leeds, Coventry and Liverpool, winning several trophies along the way. Having always come across as a likeable character during his playing days, it is certainly a shock to hear that he was the victim of such an attack and it’s hoped that the attacker is identified.